Allegra Boverman/Gloucester Daily Times. Rainbow Day School of Rockport held its graduation. This was the first year the school has held graduation at the Shalin Liu Performance Center. 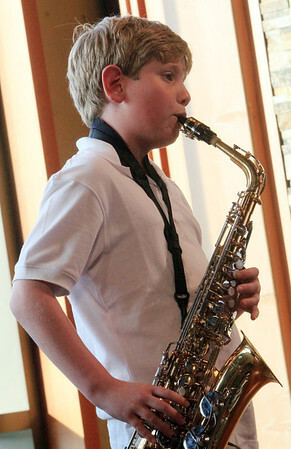 Patrick Morin performed on his saxophone during the ceremonies.